Dewstow House, near Caldicot, in south Monmouthshire, is a pleasant if unprepossessing five-bedroom country farm­house, probably 18th-century, with a smart Victorian facade and stone balustrade slapped on the front. Its real value, however, is, arguably, the gold mine of horticultural history that surrounds it. A seven-acre, Grade I-listed garden was laid out in the late 19th century by James Pulham & Sons, one of the most prestigious landscaping firms of the day, but for decades it lay buried under concrete, spoil and bramble thickets, before being unearthed by its current owners. 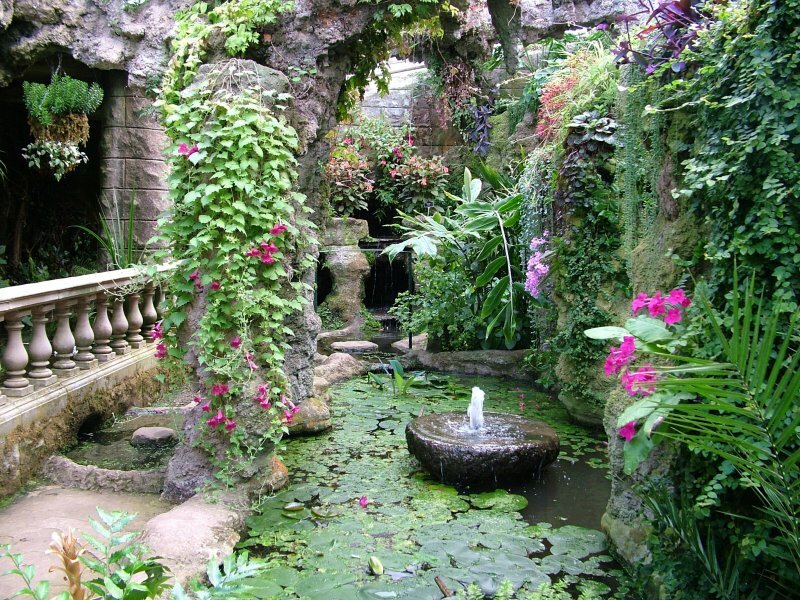 Fig 1 – The Lion Grotto is typical of the fantastic designs of James P-u)ham & Son, who also created gardens at Buckingham Palace. What they eventually unearthed was a rock garden with a warren of under­ground chambers beneath, all varying in style and some top-lit through a glass roof. 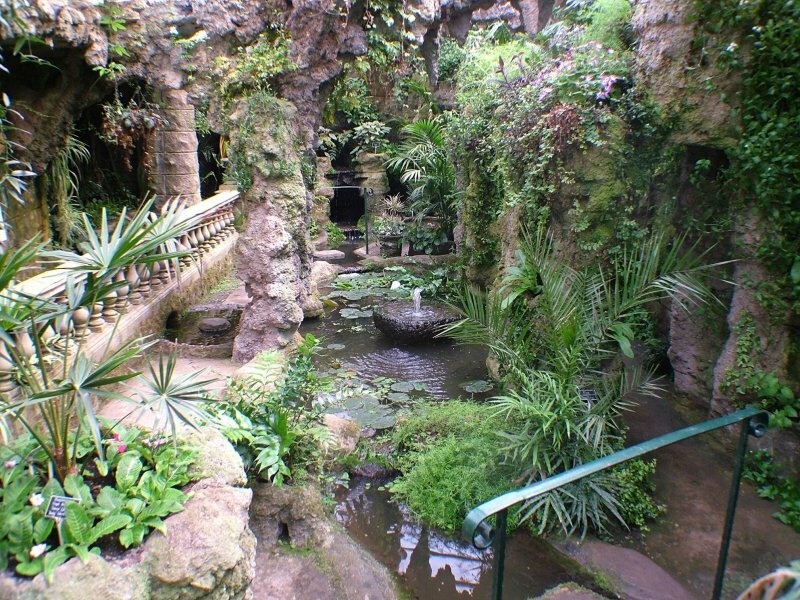 The ‘rooms’ include a fernery, with pillars of fake volcanic rock, and two palm courts – one with formal balustrades, the other with a pool. A tunnel leads to what was once the tropical glasshouse. In front of the house is another tunnel, which opens onto a wide, shallow ravine, its clay lining suggesting it was once a bog garden. There is also an Italianate formal area and, towards the outer edge of the garden, a series of ponds form part of a reticulated water system that feeds other features. The gardens were commissioned by Henry Oakley, a director of the Great Western Railway, shortly after he bought the 600-acre Dewstow estate in 1893. A bachelor recluse, Oakley spent his money on the garden. His pockets must have been deep, as James Pulham & Sons was the fashionable firm of the day: Sandringham, in Norfolk; Bucking­ham Palace; Waddesdon Manor, in Buckinghamshire, and the RHS Garden at Wisley, Surrey, are all examples of its work. The firm’s speciality was creating naturalistic landscapes of rocky out­crops and ravines. If it couldn’t find the right boulders – granite, tufa or stal­actites – its skilled craftsmen created them from Pulhamite, a mix of concrete render and a rubble or brick base. The rock shapes were so cleverly fashioned that they looked like the real thing. When Oakley died in 1940, the house passed to his solicitor, Stanley Naish, who employed Harris’s grandfather, William. Britain was at war, and the needs of a productive farm took priority over horticultural fancies: Oakley’s pride and joy was left to go wild. Then the estate was broken up, and the fate of the subterranean gardens was sealed, literally, when thousands of tons of spoil from the building of the nearby M4 were dumped on top, to a depth of 15ft. An orchard was planted in one section; the rest was concreted over. Generations of Harrises farmed until 1987, when the family firm diver­sified into golf. ‘We started in a small way, with a nine-hole course and a driving range,’ says Harris. ‘Now two 18-hole courses have gobbled up all the farm land. The second course opened in 1995, and that was the end of our farming.’ His purchase of Dewstow House reunited the estate’s original holdings for the first time in 50 years. As they have no idea of the original planting scheme, Harris’s gardeners have improvised, using ferns and palms in any of the subterranean gardens with enough light to sustain them, creating a lush jungle atmosphere. Above ground, an Edwardian pastiche has been rejected; instead, there are modern herbaceous borders, full of toning colour, drama and variety. The Italianate formal area is tastefully adorned with tulips and box hedging. Harris estimates that uncovering and restoring the ‘Lost gardens of Dewstow’ has cost about £250,000. But he is proud not to have sought a penny in grants towards restoration, even though their Grade I listing means the gardens are eligible. He has had them restored primarily for his family to enjoy; however, they are open to the public five days a week, to cover running costs, and to let others see this extraordinary legacy of Edwardian opulence. Harris is clearly horrified by the idea of Dewstow becoming the Welsh equivalent of Cornwall’s Lost Gardens of Heligan, swarming with coach parties and facing the concordant demands of increased facilities, staff, insurance and bureaucracy – not least because he lives in the middle of the gardens. Dewstow Gardens, open Wednesday-Sundays and bank holidays; www.dewstow.com.